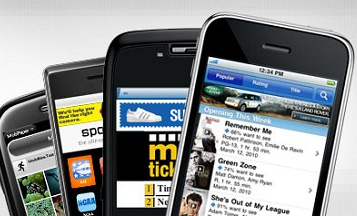 With mobile ad spending worldwide predicted to grow 85% in 2012 from $6.3 billion to $11.6 billion and mobile advertising more than doubling (up 128%) in the US to just under 4.2 billion, promise is high for publishers poised to take advantage of the booming mobile advertising market. Although this is extremely encouraging, it wasn’t long ago that Smaato reported the average worldwide ad network fill rate across their network was only 10% in the third quarter of 2011. Even with the increase in mobile ad spending, supply seems to be outweighing demand and publishers are faced with a potential challenge. So, how can publishers optimize their fill rates and capitalize on this increase in mobile advertising spend? A key element too often overlooked is the use of mobile analytics. By providing valuable insights for effective targeting and accurate data to increase selling power, publishers have the tools to give them the best chance of success. Mobile analytics helps boost return by providing information on the best performing sections / pages within mobile sites and apps to identify premium placement opportunities. By arming sales teams with powerful data they can effectively sell to advertisers and provide insights about the types of adverts which work the best and where key placements can be made based on the advertisers content. This targeting information is extremely valuable for advertisers and instils confidence. Following the placement of ads, analytics delivers advertisers with in-depth data about their own campaign performance and an understanding of where future optimizations can be made. Also, publishers can use analytics to measure their traffic and identify ways of driving more quality traffic to their sites and apps to optimize advertisers’ results. While there is such an abundance of ad inventory, mobile analytics gives publishers the edge to maximize their fill rates and ultimately increase their revenues. There are a number of tools out there including Bango Analytics which can be trialled for free to gain valuable insights. This entry was posted in mobile advertising, mobile analytics and tagged mobile analytics. Bookmark the permalink.